FRENCH FLOURISH FIREPLACE SCREEN by Accent Plus home decor, jewelry, decor, decorations, electronics, fountains, floor mats, art glass, vases, garden essentials, fireplace screens. 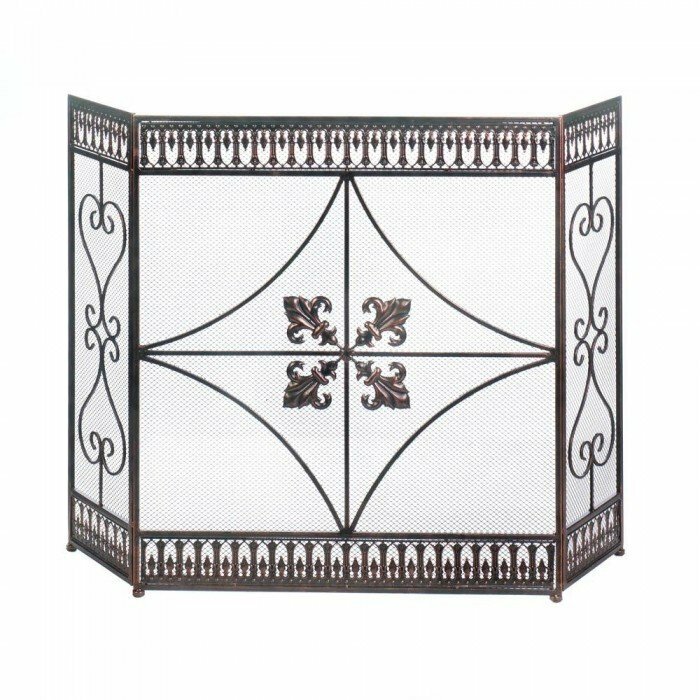 This iron fireplace screen has an intricate and elegant design that you'll love now and for years to come. Made from iron, the screen has a three-panel structure that allows you to fit it perfectly in front of your fireplace. The lovely fleur-de-lis flourishes on the front panel and swirling scrolls on the sides are framed by a bold decorative border on top and bottom. Material(s): IRON METAL - MESH. Weight 12.4 pounds. Dimensions 28" x 10" x 31.6".